Alternatively, you can select from a series of proven split cane rod models. A very, very fine rod, ideal for clear mountain streams and the most precise presentation of small flies. A "medium-fast" rod, equipped with a very fine tip. 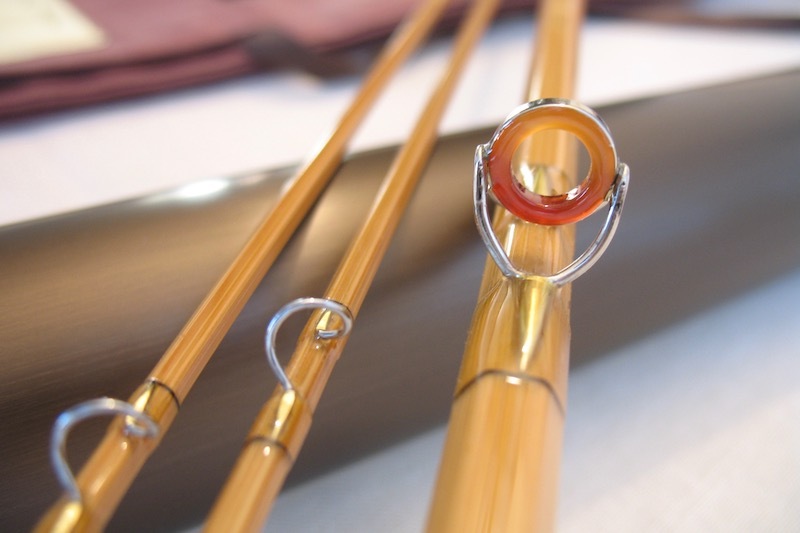 The rod already works at close range and, because of its structure, holds sufficient reserves to cast also medium distances. 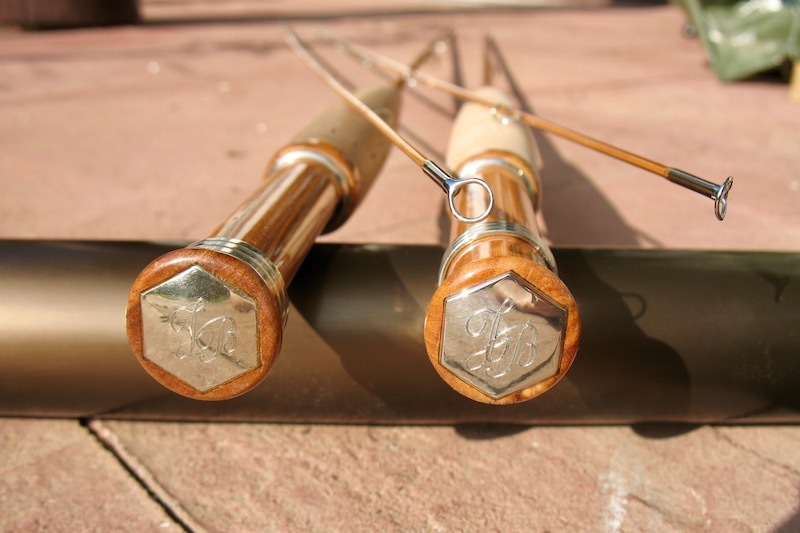 A rod with a "faster" action and a fine tip - ideal for fishing with dry flies. It is a wonderful rod for small to medium waters. 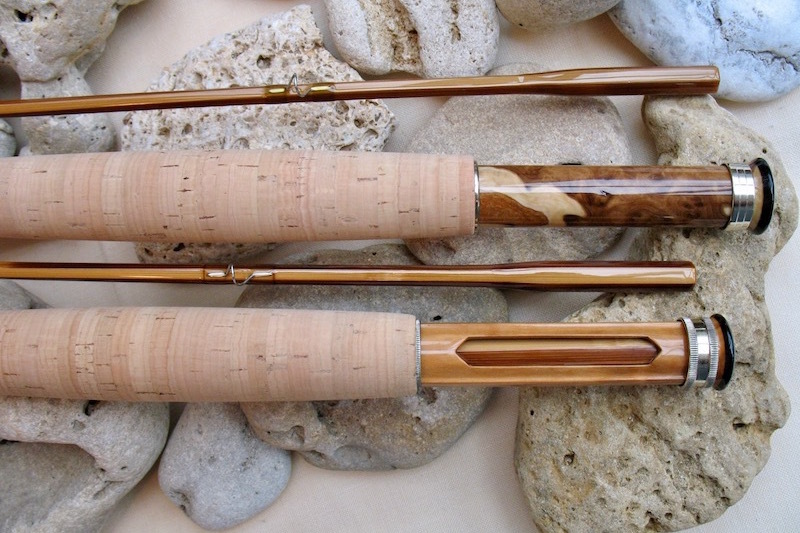 A powerful rod with fast rod action. 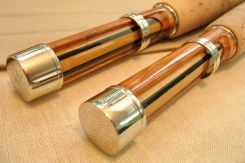 Due to the short length it is very well suited for use on overgrown waters. 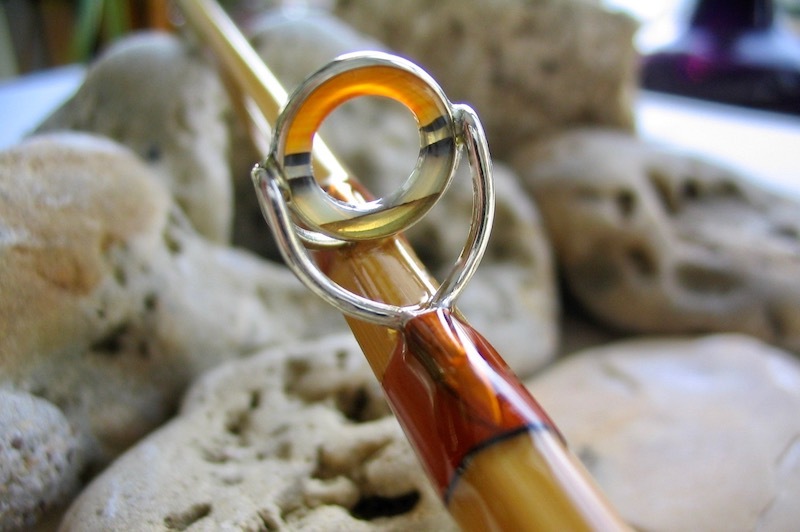 A sensitive rod with nearly parabolic action. 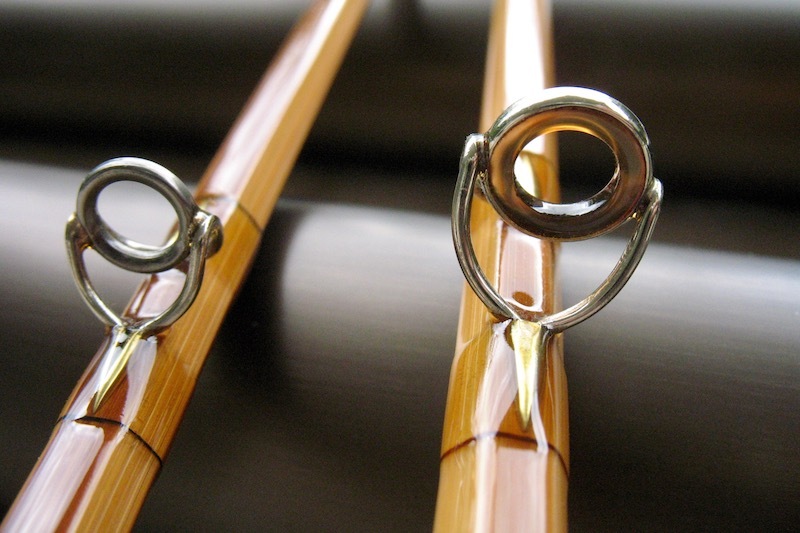 The rod has a tough backbone and a remarkable speed. Ideally suited for fishing with a thinner leader. Powerful rod with progressive rod action that covers the full spectrum of fishing for trout and grayling. It is versatile - from dry flies to nymphs. This rod is very easy to cast with. This rod has a medium, progressive rod action. 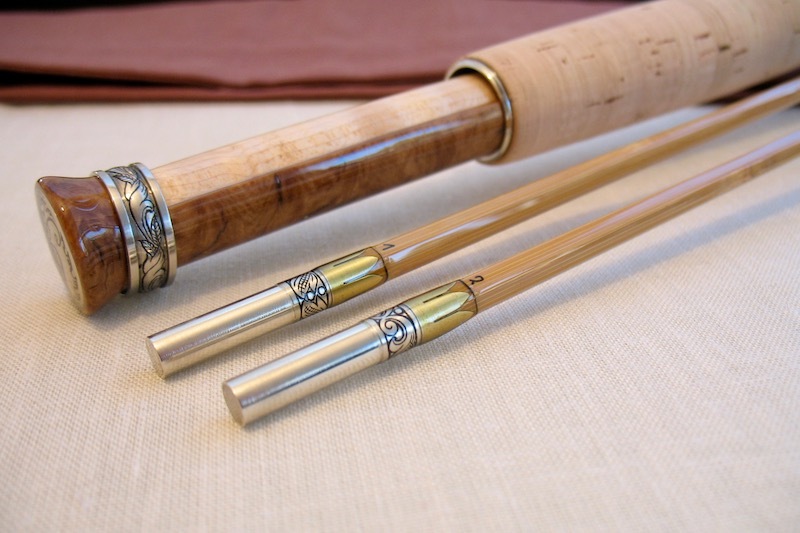 Suitable for larger waters due to its length. Constructed in the same way as the model above - but with extra length. 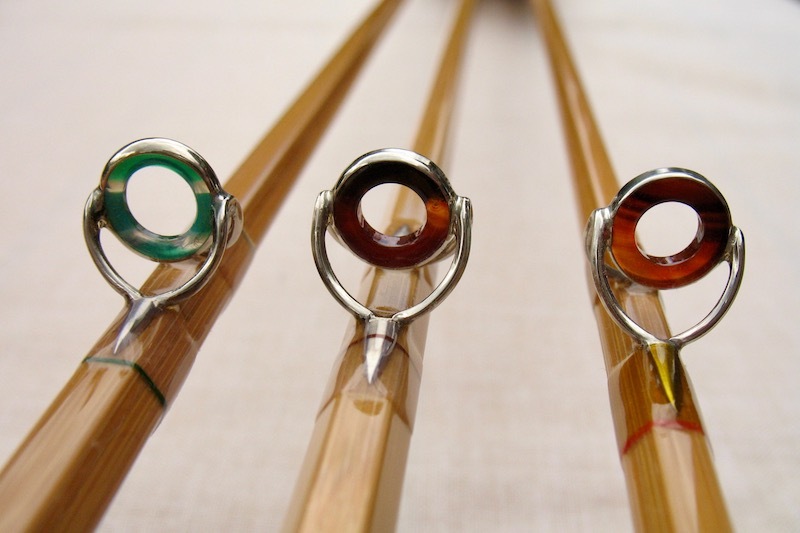 This is the strongest rod model which I offer as a standard. 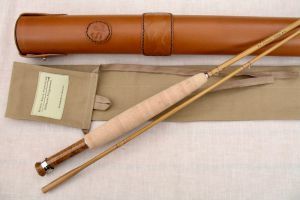 A rod for heavier trout fishing, for using weighted nymphs and streamers. Upon request different line weights, lengths and / or divisions. 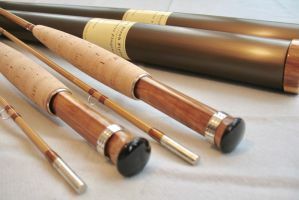 On special request, I will also craft your rod with a classic taper from well-known rod manufacturers (eg Garrison, Leonard, Payne). 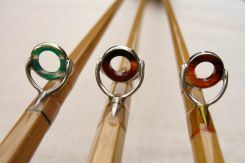 Of course, all fly rods are also available in flamed version. 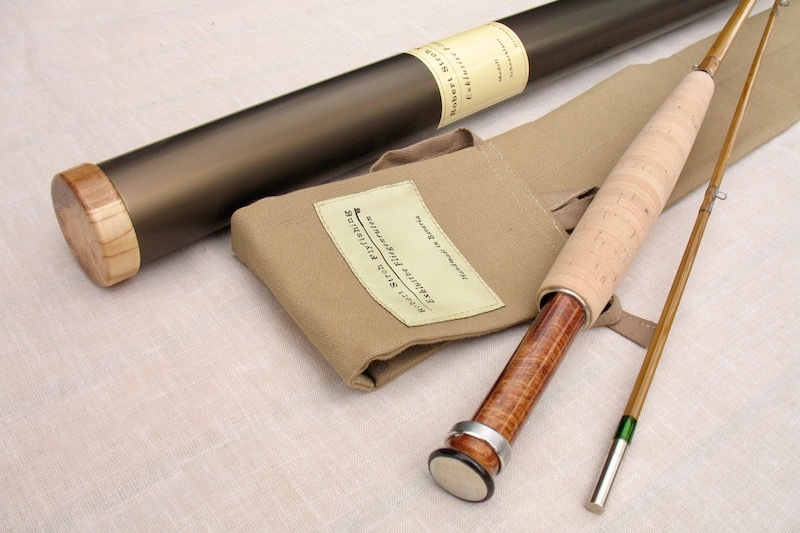 Your new split cane fly rod will be delivered in a hand-sewn fabric case and in a classy transport tube.